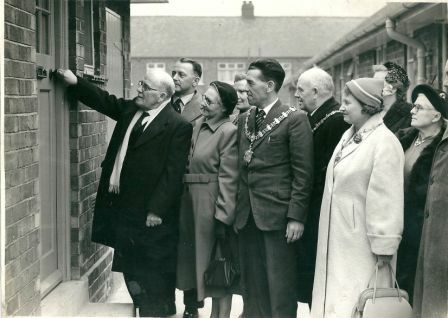 Heaton History Group is often contacted by people who used to live in the neighbourhood and have vivid and usually fond recollections. We love to hear their memories. ‘RS’ still returns to Heaton from time to time. Here is the fifth instalments of his thoughts. ‘So, it’s time to leave Armstrong Park and make the brief walk to its nearby neighbour. At this point I know what you may be thinking: there’s rather more to Armstrong Park than that which I have described. Too true. There’s the large area behind the old windmill, for example, which I must have explored at some time or other back in the sixties, but of which no particular memory is retained today. Described in Part 4 were simply the features of Armstrong Park with which I was, and remain, most familiar – the bowling green, the tennis courts, the large grassy area in front of the windmill, the windmill itself. I walk from the windmill’s information board towards King John’s Palace, crossing, on my way, the narrow winding path which leads down to the park exit – much more foliage in this area than there used to be – then carefully negotiate my way down the grassy bank before walking across Jesmond Vale Lane. Now on the other side of that road, with the ‘palace’ in front of me, several changes are clearly visible. Nevertheless, while standing here, it is another set of images from another experience, existing as a vivid memory from fifty years ago, which briefly dominates my consciousness. It happened like this. Ah yes: ‘Be Prepared’, the motto of the Cub Scouts, the youthful members of which organisation seemed to be routinely issued with sheath knives as a standard feature of their equipment, and which were worn freely and openly, hanging from their belts, even when not in uniform, with plenty of non-Cubs owning and publicly displaying their own examples, too. Interested? Well come over to my place and have a turn with mine. No, really – I’ve still got my own Johnny Seven. Some bits have gone missing over the decades and some now malfunction – I’m currently having problems with the grenade launcher – so it’s probably more accurate to call it a ‘Johnny Four And A Half’, but it certainly still exists. Anyway, so there we were, roaming around central Heaton, openly carrying our fearsome assortment of knives, revolvers, pistols, rifles and Johnny Sevens – veritable armed militias of 8-10 year olds – perhaps, on reflection, rather as if ‘Crackerjack’ had decided to broadcast a special one-off edition from Vietnam. Can you imagine children playing like that today? Some horrified onlooker would get out their mobile phone, and within five minutes you’d be deafened by the sound of approaching squad cars, before the whole of Heaton would be put in ‘lockdown’ for the rest of the day, while Social Services implemented the politically correct provisions of their latest ‘children at risk’ intervention strategy. Which takes me back to where I was. No, not in Vietnam – back to standing on Jesmond Vale Lane, just by the ‘palace’, sometime in the mid-sixties. Standing with a friend, as it happens, name now long forgotten. There I was, holding my pearl-handled, multi-function, Swiss Army knife, no doubt still optimistically on the lookout for that perpetually elusive limping horse. In the meantime, as we’d been walking up the lane, on the way home, I had been amusing myself by aimlessly hacking away at random twigs, overhanging leaves and the like, as I went – fair enough, not ideal behaviour, but essentially harmless. The trouble was, he’d obviously been watching and following us for the last few minutes. And ‘he’ was … the ‘parky’! Or should that be the ‘parkie’? No matter – it was going to take more than correct spelling to get us out of this one. This was serious. Appearing from seemingly nowhere was the man more officially known as the Park Keeper, and who seemed to operate in both Armstrong and Heaton parks. A smallish, perhaps fortyish gentleman, he very much resembled a typical bus inspector of the day – remember them? – with dark gabardine overcoat and black peaked cap, an impression reinforced by the fact that he carried some sort of silver-coloured ticket machine slung over his shoulder, and which dangled by his waist, in his case for the purpose of issuing tickets in exchange for the sixpence needed for the use of the tennis courts. And he wasn’t happy. Curtly he demanded that I hand over my knife. On reflection, I could have simply refused. If matters then became difficult, I suppose I could have sent my anonymous friend to my house in Simonside Terrace to get some back-up firepower. I’m sure Mr Parky would have thought twice about the wisdom of his demands – or at least considered entering into negotiations – when confronted with a fully loaded Johnny Seven: the anti-tank rocket, in particular, is some serious piece of plastic. But of course, I did none of those things. I might ‘talk the talk’ now, but back then I didn’t ‘walk the walk’. Or rather, I did. All the way back home, in fact. Somewhat sheepishly, if the truth be told. Without my knife. Which, of course, I had meekly handed over to the ‘parky’. In those days, to defy an adult was often not such an easy thing to do, but to defy an adult in a uniform was close to unthinkable. So I didn’t think it, and didn’t do it. But in any case, the welfare of the infrequently encountered limping horses of Heaton were from that day on someone else’s responsibility. And yes, Mr Parky – that person was you. This entry was posted in Group Activites, Uncategorized and tagged Armstrong Park, Heaton Park, Jesmond Vale Lane, King Johns Palace, Rothbury Terrace, Simonside Terrace, Windmill on April 27, 2016 by oldheaton. 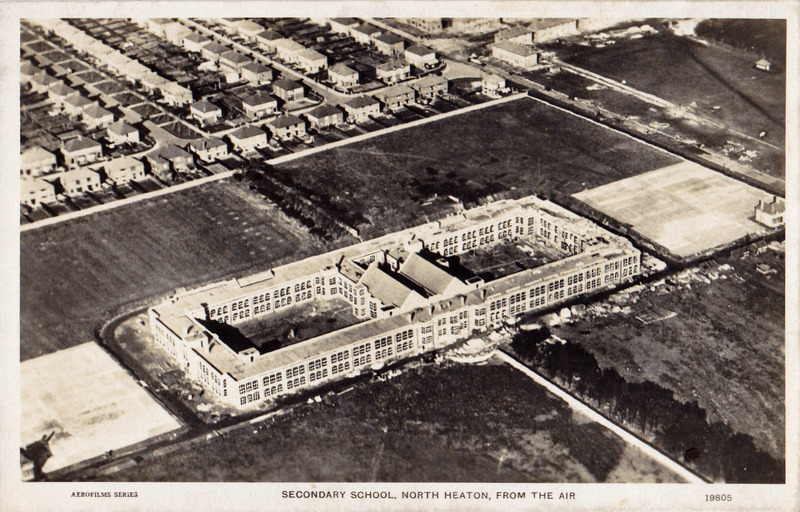 Heaton History Group is often contacted by people who used to live in the neighbourhood and have vivid and usually fond recollections. We love to hear their memories. ‘RS’ still returns to Heaton from time to time. Here are his thoughts, which will be serialised over the next few months. Now here’s something that may be of interest. Ever wondered what that old Heaton house you lived in many years, or even decades, ago looks like now? Externally? Easy enough. But internally? Not so easy? Well, you may be in luck. Go to the RightMove property website and enter its address into the ‘Sold price search’ search box. As long as your old home was on the market within the last decade or so, then estate agent details, including interior photographs, should be there, as well as the price(s) at which it has recently found new owners. Which is how I know that the house I’m standing outside, on this sunny August day, now has – among other changes – three bathrooms and no fewer than nine bedrooms. Yes, you’ve guessed it: what was once a one bathroom, four bedroom family home when I lived here as a child, from 1960 to 1968, is now student accommodation, as indeed are so many of its neighbours. So it’s about time I told you where I am. Pretty much in the centre of Heaton, as it happens, on that stretch of Simonside Terrace lying between Chillingham Road and Heaton Road. No, I won’t give the number, but it’s the house with the rather bizarre white extension sprouting out of the roof, and in which some of those new bedrooms must surely be located. Fond memories come flooding back, from fifty years ago and more. I lay my hand on the permanently cold, grey granite coping stone atop the low front wall, and see the small holes where the original decorative railings were once fixed, before they were conscripted to serve King and country in 1940 or so. 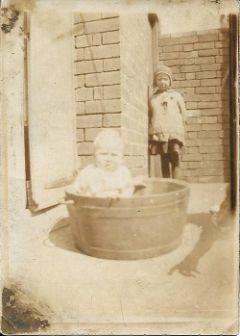 And in that context I’m grateful for the photograph on this website of young Ruth Castle, standing outside number 47 Tenth Avenue, in the early years of the last century. The low wall and granite coping stone in evidence there are identical to the ones here on Simonside Terrace – and, for that matter, on so many other Heaton streets – rendering it safe to assume that the railings also seen there (and the gate) are of the same style that was once seen all around Heaton, and including on this house, before they were forcibly carted off, three quarters of a century ago, ostensibly to help the war effort. The RightMove website tells me I’d probably need something north of £200,000 to buy this house now. In the ’60s I vaguely recall the price of £4,000 being mentioned by my parents … but, a little unhelpfully, I can’t remember if that was the 1960 purchase price or the 1968 selling price. (Suggestions on a postcard.) What I do recall is my late father lifting up a floorboard one day and finding a newspaper from 1904 underneath, which we took to be a ‘message’ from the builders of approximately sixty years earlier, to an indeterminate future generation, as to when they had completed their work. And then I turn to the west, and towards Heaton Road. For I didn’t come here to pay particular attention to the old house – although clearly the temptation could not be resisted once standing in front of it – but merely to use it as the necessary personal historical starting point, in the retracing of my frequent walks of half a century ago, to Heaton Road … and from there, across the road, to the fondly remembered parks of my childhood. 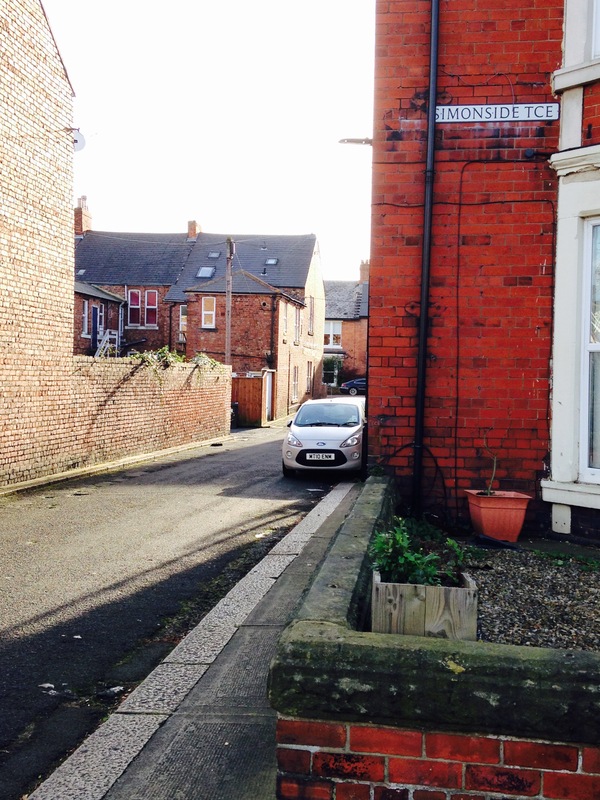 This entry was posted in Group Activites and tagged Simonside Terrace, Warton Terrace on September 20, 2015 by oldheaton. 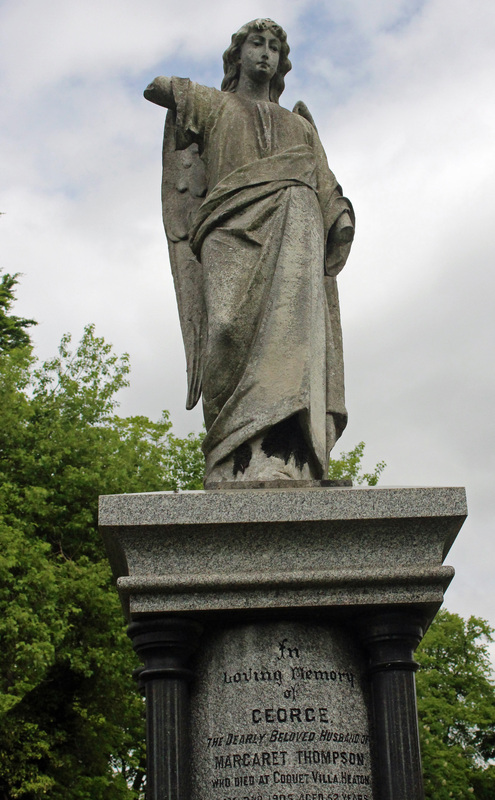 Take a stroll through Jesmond Old Cemetery and you’ll come across this imposing headstone. 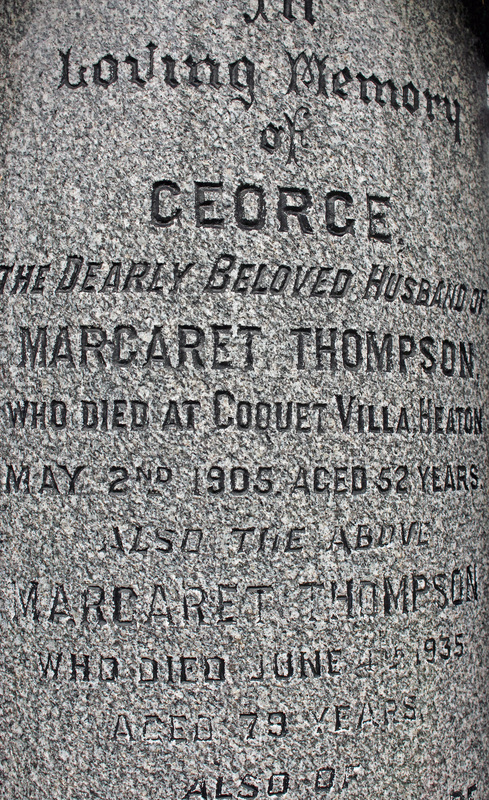 It marks the grave of George Thompson, who, the inscription tells us, ‘died at Coquet Villa, Heaton on May 2nd 1905’. It’s quite unusual for a gravestone to pinpoint where its incumbent passed away so it suggests that Coquet Villa was a special place for the deceased and his family. The name ‘Coquet Villa’ may not be familiar to you – the gatepost on which its name was carved was replaced decades ago – but, a hundred and ten years later, the house is still much admired, one of only two private residences to have been nominated in Heaton History Group’s 2013 bid to find Heaton’s favourite buildings. Coquet Villa was the original name for 246 Heaton Road, which you probably call ‘the turret house’. The land on which the house stands was sold by William Watson-Armstrong, Lord Armstrong’s nephew and heir, on 31 December 1900 just 3 days after his uncle’s death. The agreement stipulated that two semi-detached residences be constructed within nine months of the contract being signed. George Thompson paid £574 11s 1d, a substantial sum then. 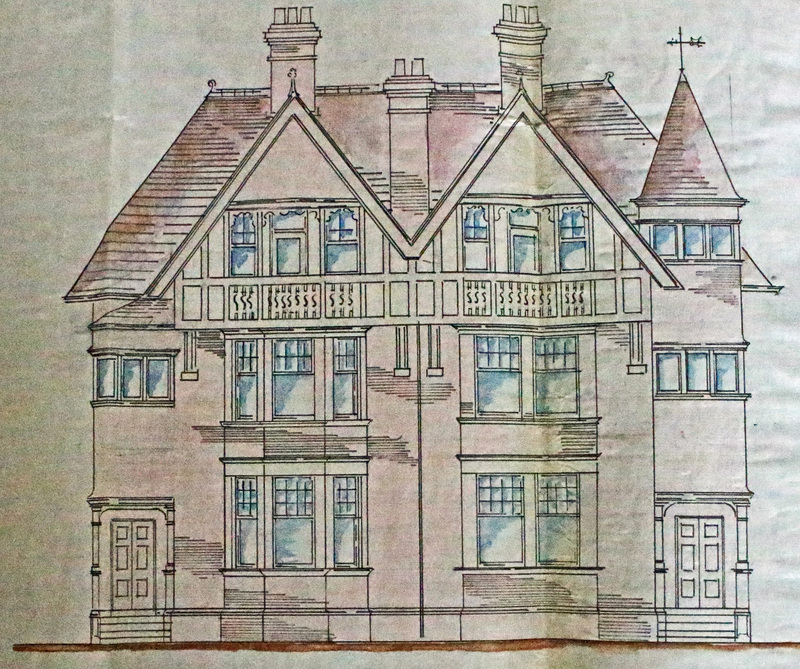 However, it was some 21 months earlier, in March 1899, that he had first commissioned the well-known local firm of architects, Hope and Maxwell, to draw up designs for a pair of semi-detached houses to fit the site. This suggests that plans for the sale of land were in train well before Lord Armstrong became ill. The two houses were of similar specification, apart from the distinguishing feature of that on the right – the one which Thompson chose to be his own home and called ‘Coquet Villa’. It’s only this one that has the famous attic turret. Like you, we wondered why. 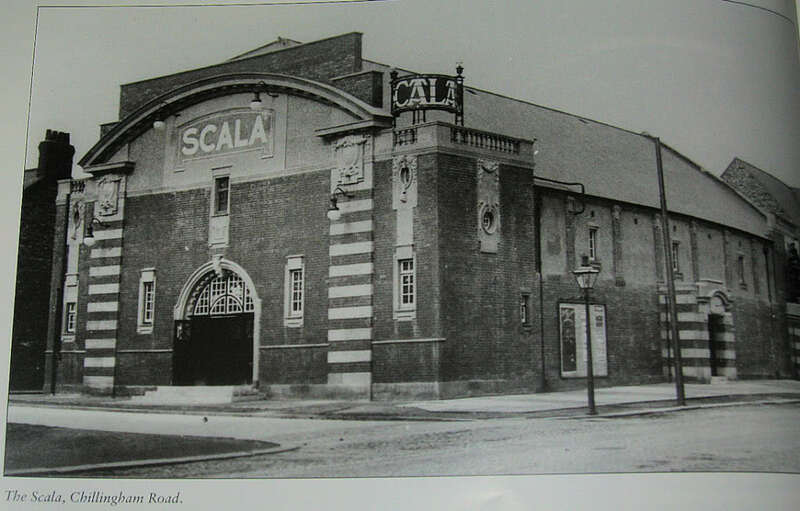 William Hope and Joseph Charlton Maxwell are particularly remembered for their design of theatres, not only locally in Blyth and Newcastle, but as far afield as Glasgow, Margate and Southampton. Sadly the Hope and Maxwell theatres have all been demolished or destroyed by fire, but another of their public buildings does still stand – almost next door to Coquet Villa: it’s Heaton Methodist Church – and it too had a single turret until very recently. Churches and theatres have to be more than functional buildings, of course: they’re designed to raise the spirits. If that was the aim of Hope and Maxwell and their client, Coquet Villa, still much enjoyed by passers-by as well as those lucky enough to live there, can be considered a huge success. George Thompson, the son of a Warkworth grocer, described himself as a ‘commercial traveller’. He and his Scottish wife, Margaret, moved to Newcastle, living first in Malvern Street, Elswick, and then at 22 Simonside Terrace before they were eventually able to afford their long term family home, which they nostalgically named after the river that flows through George’s boyhood village. After the delay to the start of the build, things moved apace and George and Margaret soon moved in with their teenage sons, 17 year old Lonsdale Copeland and 14 year old Norman Malvern (who, again rather romantically, seems to have been named after the Elswick street in which his parents began their married life). Perhaps Warkworth is a clue to the turret too. George grew up in the shadow of the famous castle and perhaps wanted to recreate some of its grandeur in his own dream home. Margaret too grew up close to a magnificent castle not short of turrets: she was from Edinburgh. 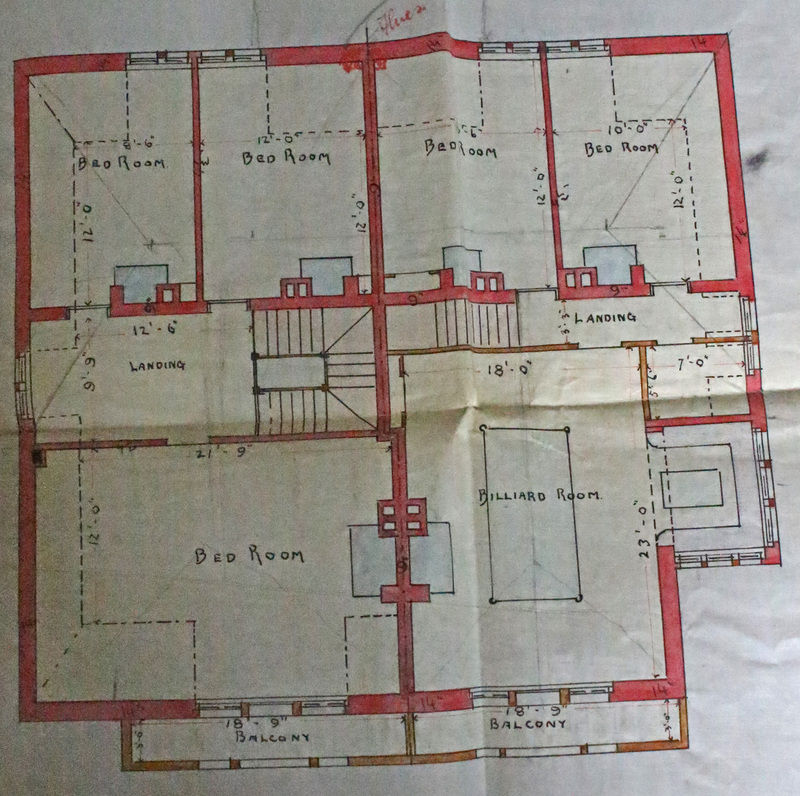 But a visit to Tyne and Wear Archives to view the original plans showed that internally the turret served a more practical purpose. As you can see from the image below, the front room in the attic was designed to be a billiards room. It was the ideal place for the two boys to hang out without disturbing their parents or perhaps George enjoyed the company of his sons over a game. We don’t know. But it is clear that the room was designed to accommodate the table with just enough room for the players to move around it comfortably. So where would onlookers and the player awaiting a turn at the table sit without being in the way? On a recessed window seat of course, with lovely views over Heaton Park towards Newcastle. In a turret. Genius! The house is a large one for a family of just four but the additional space was used. 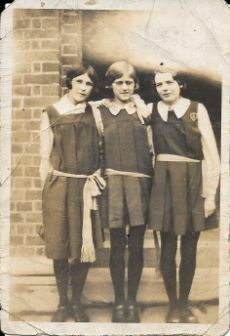 The Thompsons were joined by a niece of George’s, Christiana ‘Cissie’ Robson and the 1901 census shows them having a live-in servant, 18 year old Agnes Chandler. Sadly George did not enjoy Coquet Villa for long. As we have seen, he died there just a few years later at the age of 52. But what happened to his bereaved family? 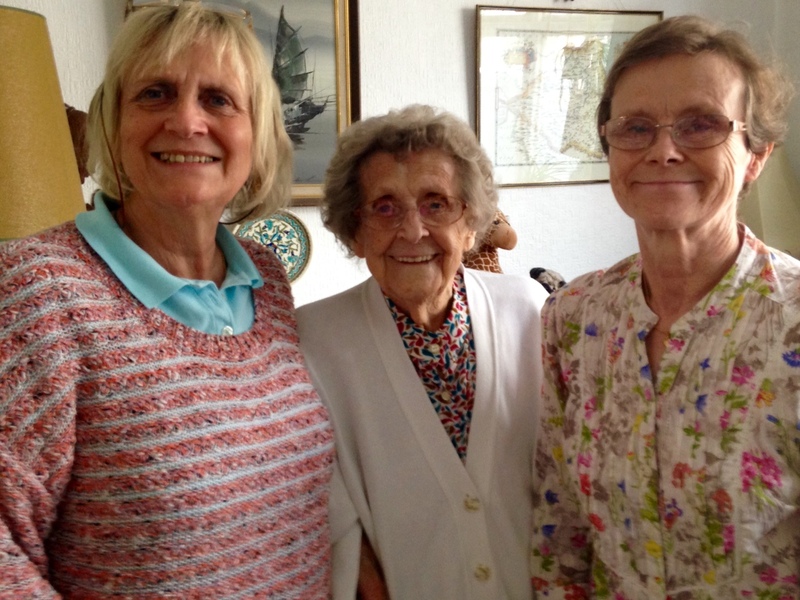 Margaret, Cissie and the boys remained in the family home until, in 1910, Lonsdale married Frances Maud Holland, daughter of Sir Thomas Henry Holland, an eminent geologist. 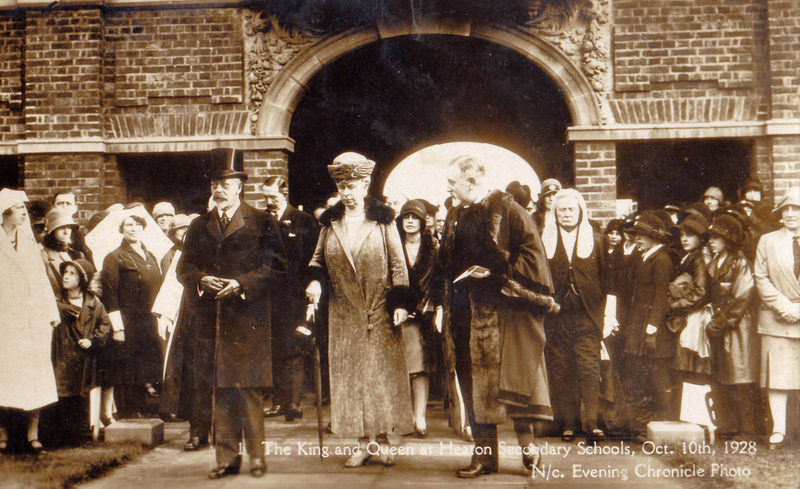 (In 1939 Thomas was awarded the Royal Society’s prestigious Albert Medal, an honour earlier bestowed on at least two other men with Heaton connections, Lord Armstrong in 1878 and Charles Parsons in 1911). 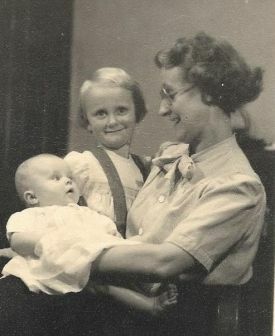 Frances had been born in India where her father was working at the time. Her mother was also born in India). The newlyweds started married life in Gosforth with Lonsdale making his living first as a woollen merchant and then a tailor, with his own business. At the time of his death, in 1957, he was living in Great Malvern in Worcestershire. 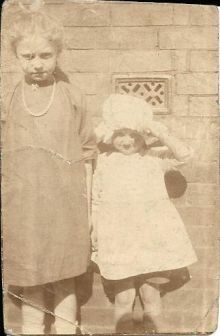 In 1916, Norman married Jeanne Julie Maude Rodenhurst, the youngest of six children of Harry, a wholesale millinery merchant, and his French wife, Jeanne, who lived in Deneholme on Jesmond Park East. The wedding was at St Gabriel’s Church. Norman set up as a market gardener in Ponteland, where he was eventually succeeded by his and Jeanne’s son Derrick. 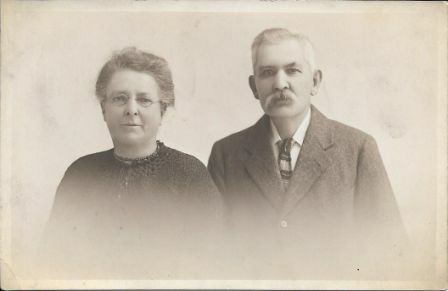 Jeanne’s brother, also called Norman, described himself as a tomato grower, so it’s possible that the brothers in law set up in business together. 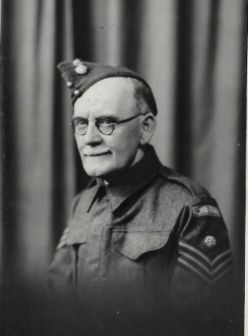 Norman died in 1968 and is buried in the family vault in Jesmond Old Cemetery with his wife Jeanne, his father and his mother, who died in 1935 at the age of 79. 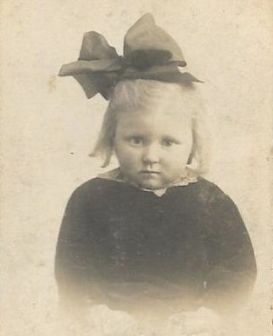 Cissie died on 25 October 1914. Three days later, her funeral cortège processed from Coquet Villa to Heaton Station to meet the 8.05 train to Rothbury, where she was interred. But with the war over, Cissie having passed away and her sons flown the nest, Margaret sold the family home, now clearly too big for her. The purchaser was a man called Frank Fleming, who stayed only three years. Next came Charles and Mary Kirk, whose family was to be associated with Coquet Villa for another 14 years. Charles, like his father Samuel before him, was a slate merchant. Samuel Kirk was born and grew up in Boston, Lincolnshire but by 1871 had moved to Newcastle, no doubt to take advantage of the building boom in the industrial North East. 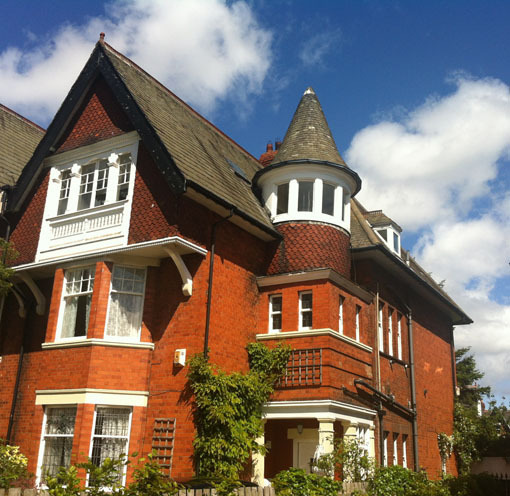 He set up on his own in 1883 in Ridley Villas, following the dissolution in 1883 of a partnership, Kirk and Dickinson. 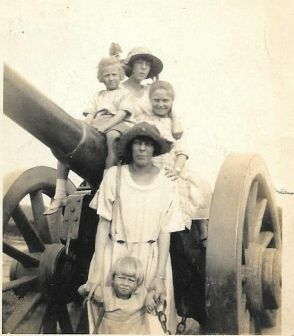 The firm eventually passed to his son, Charles, who in 1911 was living at 14 Rothbury Terrace with Mary, his wife, five children (May 8, Annie 7, Samuel 6, Mary 4 and Charles 2) and two servants, Annie Wood and Florence McIntoch. A book (‘Missouri at Sea’ by Richard E Schroeder) refers to the ‘bitter North Atlantic storms of 1917-18′. It would be fascinating to know more about what took Charles around the world at such a dangerous time. Another so far unanswered question is whether Kirk’s slates were used on the roof of Coquet Villa – and its locally famous turret. Like George Thompson though, Charles and Mary didn’t enjoy Coquet Villa for long. Charles died in 1925, aged only 59, and Mary in 1927, after which the house was let to a number of tenants including Joseph Hilliam, a wallpaper manufacturer, and Joseph H Hood, a musician. Eventually, in 1936 it was sold to Harriet May Morton, wife of John Hugh Morton, a cashier. Like many of the other owners, the Mortons moved only a matter of yards – from what would then have been a new house on Crompton Road almost opposite Coquet Villa. Later occupiers included Martha Ellen and Allan Frankland Holmes; Ronald George Smart, a commercial traveller; Alexander Reed Morrison, a medical practitioner; Torleif Egeland Eriksen, a Norwegian dental surgeon and his wife, June Margaret; George and Thora Brown of Thetford in Norfolk and Dr M M Ahmed. We hope you’ll help us uncover more about some of them in due course. Like the Thompsons, the current owners, Helen Law, a fine artist originally from Leicester (where, incidentally, her great grandfather set up a football boot manufacturing company – the firm made the retro boots used in the 1982 film ‘A Captain’s Tale’ about West Auckland Town winning the first World Cup) and Richard Marriott, a teacher, saw the house as the ideal family home. Although separated from the original owners by a century or more, they clearly share the romanticism which led George Thompson to name the house after the River Coquet, on the banks of which he played as a boy and to commission an architect to echo the magnificent castles so familiar to him and his Edinburgh-born wife. On their first night in their new home, Richard donned a suit, went down on one knee and proposed to Helen in the turret. Later, they lovingly restored the attic, which had long been an unloved dumping ground, to its former glory. 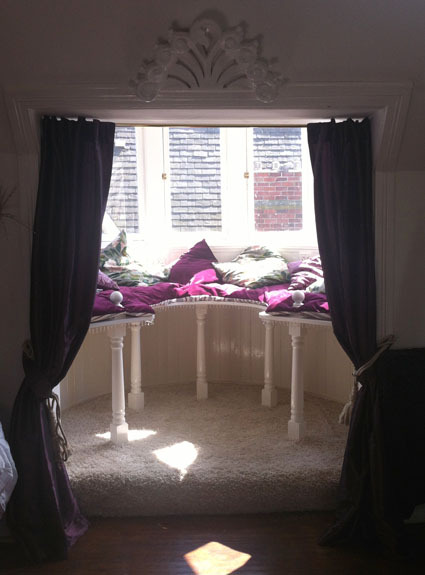 They renovated the turret, building a magnificent new window seat, which they enjoyed with their children and still love to sit in today. You feel sure that George and Margaret would approve. 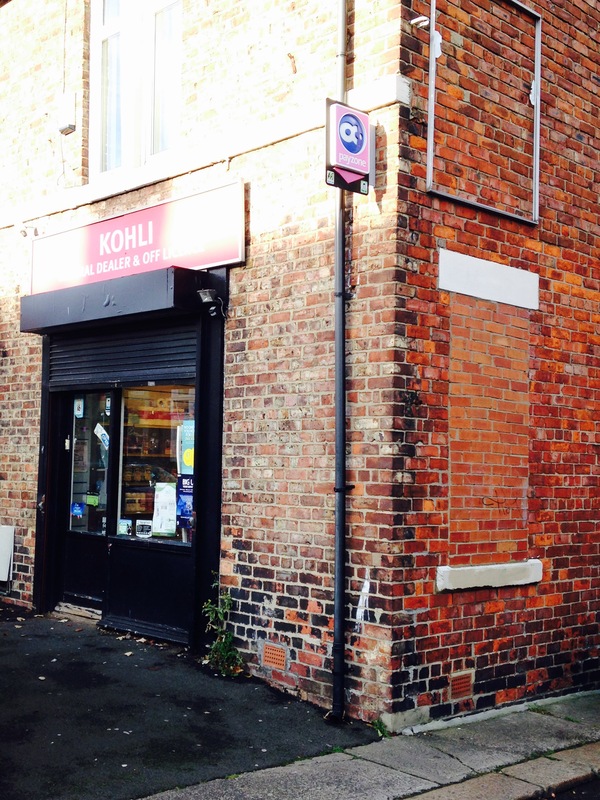 You may have noticed (June 2015) that 246 Heaton Road is up for sale. As with Margaret Thompson, almost 100 years ago, the house is too big for the current owners now that their children have flown the nest. 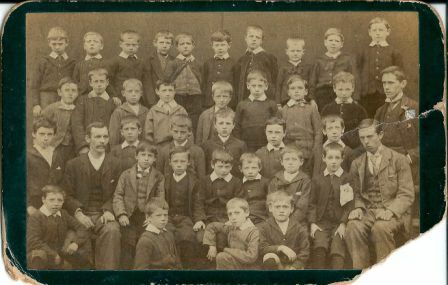 This entry was posted in Research and tagged Charles Kirk, Coquet Villa, Crompton Road, Deneholme, football, George Thompson, Harry Rodenhurst, Heaton Methodist Church, Heaton Road, Hope and Maxwell, Jeanne Rodenhurst, Jesmond Park East, Jesmond Vale Terrace, Joseph H Hood, Lonsdale Copeland Thompson, Lord Armstrong, Margaret Thompson, Mary Kirk, musician, Norman Malvern Thompson, Redthorpe, Rothbury Terrace, Simonside Terrace, St Gabriel's, William Watson Armstrong on May 31, 2015 by oldheaton.